The three most common toxic gases – hydrogen sulfide, carbon monoxide, and methane – can injure and kill, both slowly and instantaneously, at home and in the workplace. They are produced naturally. Where the potential exists, safety procedures and safety devices should be in place. HYDROGEN SULFIDE: Known as sewer gas or stink damp for its rotten egg smell. Colorless and flammable, in high concentrations it can cause death in just a few breaths. It occurs naturally in crude petroleum, natural gas, volcanic gases, and hot springs, and also results from bacterial breakdown of organic matter. CARBON MONOXIDE: This gas is odorless, colorless, impossible to see and taste. In low concentrations, CM causes flu-like symptoms such as headaches, dizziness, nausea and fatigue. At high concentrations, it is a killer. It is generated by gasoline powered equipment like motor vehicles, space heaters, gas stoves, and generators. Proper ventilation can reduce risk. In a 2010 Florida tragedy, five young teens were killed in a Hialeah motel room when a car was left running in an abutting covered garage. They were found dead in their room fully clothed. Tobacco smoke generates CM. METHANE: Like hydrogen sulfide and carbon monoxide, this gas is colorless. Like carbon monoxide, it is also odorless. In commercial natural gas production, sulfide is added to give the gas a detectable smell. Methane is a principal component of natural gas, and it is also produced by the bacterial decomposition of plant and animal matter. It is not per se toxic, but it can cause death through suffocation by preventing the body’s intake of oxygen. The best safety procedures involve a combination of prevention, detection, and knowledge. Employees should be informed and provided with adequate safety equipment. 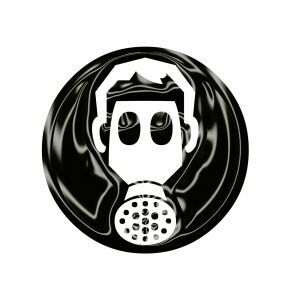 In those industries where toxic gas is known to exist, OSHA requires the use of procedures, training, and safety equipment. In homes, heaters, fireplaces, generators, and other gas appliances should be properly used and maintained. Ventilation should be checked. CM detectors are available. Where death or injury results from the negligence of a third party, those harmed may be entitled to compensation for their losses through the civil justice system. Although no amount of money can return a loved one lost or bring normal health to the catastrophically injured, monetary compensation can ease the burden during trying times. In 2013 I began getting headaches, became nauseated and throwing up several times a day. Went to a neurologist who couldn’t find anything wrong. Several months later was transferred to another one of our warehouses and I stopped getting headaches and being sick. I was there for several months and was not getting sick any longer. Later I was transferred back to the other warehouse and within a few months I was getting headaches, nauseated and throwing up again. Went back to the neurologist, spent time in the hospital (twice) had many many tests run for gastro issues. Dr ran a MRI and found a brain tumor but both the neurologist and neuro surgeon said they did not feel that it was the cause of my nausea, headaches or vomitting. The Tumor was removed 12/8/2015, I still get nauseated and vomit when I go to our warehouse and after attending a recent ‘safety class’ at our main warehouse, I believe that my problems are steming from a broken sewer pipe that the company refused to fix for so long because they are going to sell the building and don’t want to put out the money. The main pipe was fixed after5 years of us complaining but there are still issues with the pipes having roots in them and the smell still permeates the building. One co-worker suffers from headaches and another co-worker has breathing issues.